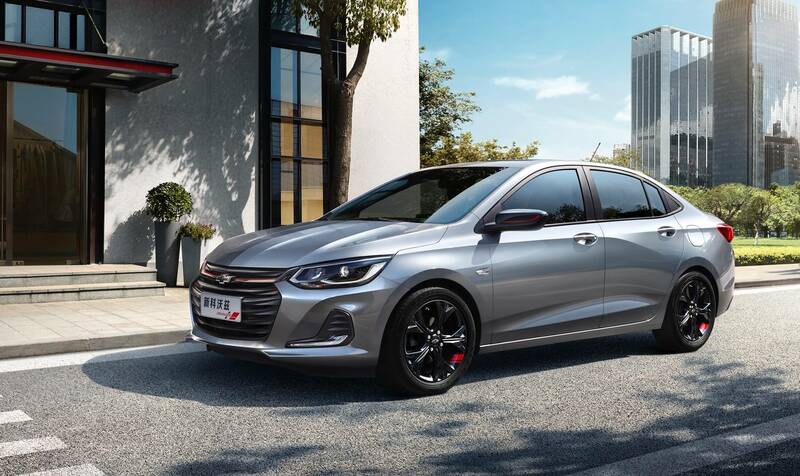 While in the United States the GM sedan is an endangered species, a new Chevy sedan has been officially unveiled in China. We’re referring to the all-new Onix compact sedan, which has just been revealed in the People’s Republic. 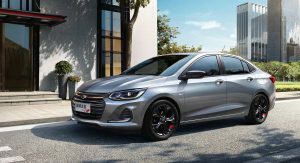 The Onix is the first of many new Chevrolet and Buick B- and C-segment vehicles to use the GEM platform. 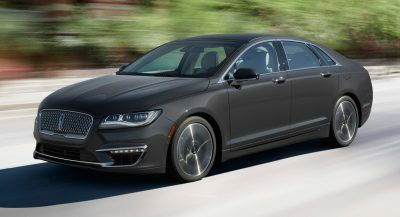 It is also a big deal for GM because it marks the nameplate’s transition from being a South American-only model to one that will be sold in some 40 countries worldwide — excluding the United States and Canada, though. 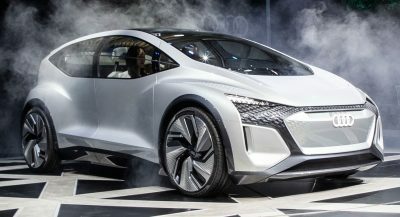 Another first is the fact that the Onix is offered as a four-door sedan; up until now, the nameplate was only used on a five-door hatchback in South America, with its four-door variant being called the Prisma. 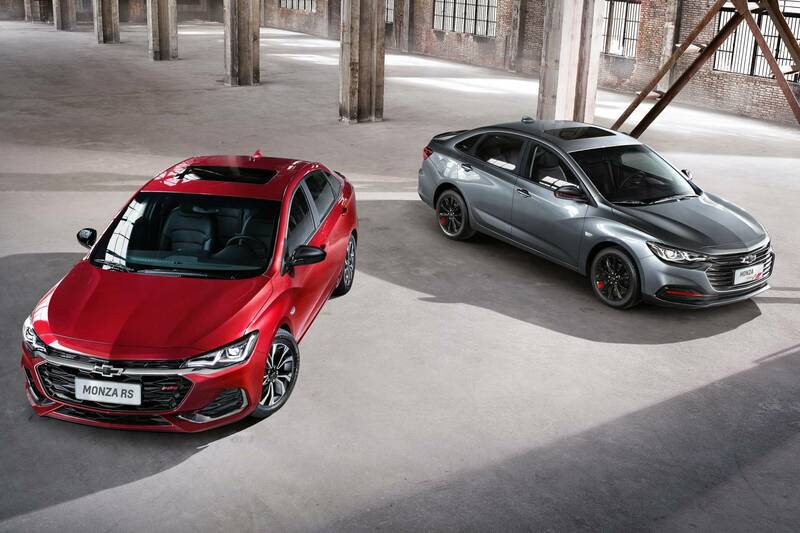 The Onix Sedan is significantly larger than the Prisma, adding 7.5 inches (190 mm) in length. 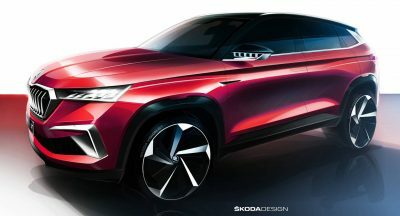 That makes it almost as big as a C-segment model and places it between the Sail and Cavalier in Chevy’s Chinese lineup. 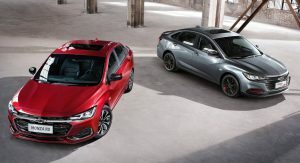 The model debuted in Redline trim, becoming the sixth local Chevrolet product to include that grade after the Equinox, Cruze, Orlando, Malibu XL, and Monza. 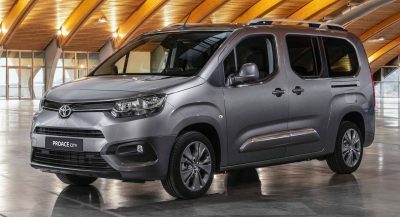 Adopting the brand’s latest design language, the Onix features a dual-grille design, new headlamps and new LED DRLs/fog lamps at the front. 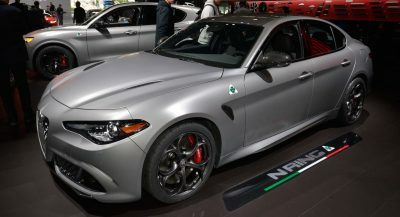 In Redline trim, it comes with standard black 16-inch alloys, black badging, and red accents on the grille, mirror caps and wheels. 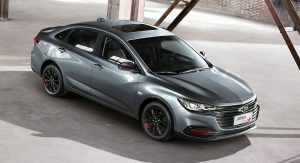 No powertrain details were offered, but according to GM Authority, the Onix sedan will offer two new three-cylinder gasoline engines in China: an entry-level naturally aspirated 1.3-liter with 102 hp (103 PS) and a turbocharged 1.0-liter rated at 114 hp (116 PS). 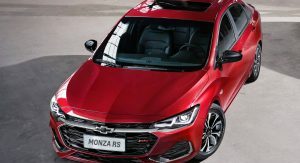 Alongside the Onix, Chevrolet has also announced pricing for the new Monza sedan, which is offered in five grades ranging from RMB89,900 to RMB119,900 ($13,400-$17,850). I have to say it looks nice. But the fact is that when people choose to buy these budget car, they simply don’t probably choose those nice upper trims. I mean -I don’t know- I think like 90% of what we see on the roads will be rental trim or grade. THEY MADE IT EASY TO TELL THEM APART. THE MONZA HAS A ACCENT LINE DROOP ON THE FRONT DOOR AND THE NON-MONZA DROOPS IN THE REAR.